IMPORTANT NOTE: If you plan to order the Wilderlands of the Magic Realm Color Maps. The PDF for the Guidebook is included in that purchase. The PDF only version of the Guidebook is for people who don't want to buy the color maps. This product is the third in a series of four guidebooks covering the Wilderlands of High Fantasy setting. This product is a 48 page Guidebook for four maps of the Wilderlands of the Magic Realm: Ghinor Map Eleven, Isle of the Blest Map Twelve, Ebony Coast Map Thirteen, Ament Tundra Map Fourteen . The book contains an introduction and commentary by Robert S. Conley who has used the Wilderlands as his main fantasy campaign for nearly forty years. Each map is detailed with the following listings: Villages, Castles & Citadels, Idyllic Isles, Ruins & Relics, and Lurid Lairs. 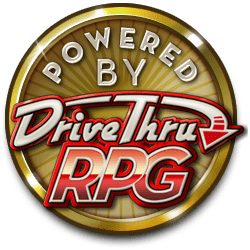 Dozens of adventure seed and ideas for years of campaign play. 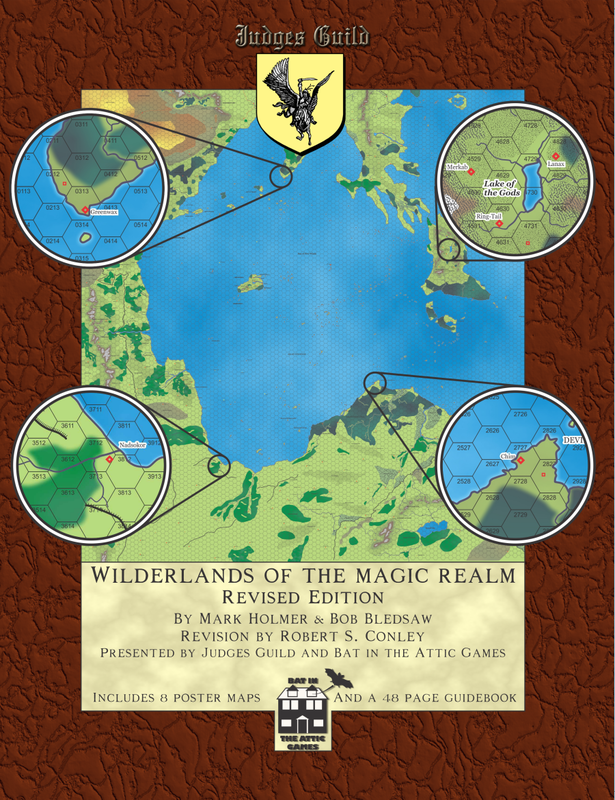 1 PDF of the 48 page Wilderlands of the Magic Realm Guidebook covering Ghinor Map Eleven, Isle of the Blest Map Twelve, Ebony Coast Map Thirteen, and Ament Tundra Map Fourteen.